RC Willey is proud to offer this brand new game for your Xbox One, Madden NFL 19. This Xbox One game offers a brand new season of everyone's favorite game from EA. Madden NFL is known as the most authentic sports game in the industry delivering an NFL experience through competing against friends online or side by side, taking your team from pre-season to Super Bowl Champions, and allowing you to be at the center of every play so you can achieve gridiron greatness. Madden NFL 19 is the most authentic NFL experience in gaming. Play as your favorite team, faceoff against other players, or team up with friends in the most dynamic Madden season yet. What's new in Madden NFL 19? This season of Madden NFL 19 is loaded with advancements to gameplay, delivering unprecedented control for a more immersive experience. 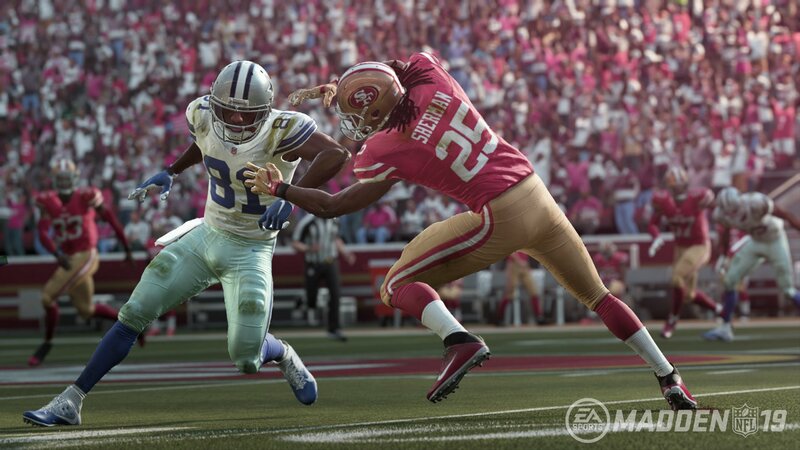 Real Player Motion - Delivers hyper-realistic animations with a higher level of gameplay. 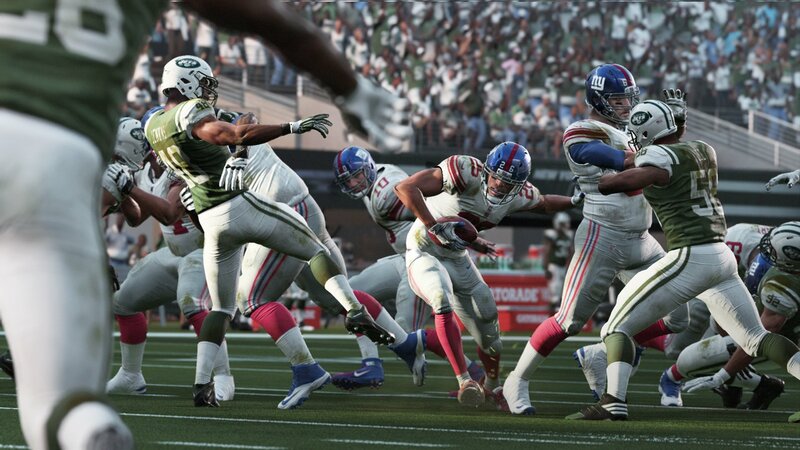 The elevated animations bring incredible elements to the ball carrier control. Fan Favorite Celebrations - Celebrate your way with a full collection of fan-favorite signature celebrations and bring the swagger of today's NFL. Push The Pile - Push blockers rather than maneuver around them for tough yards. One Cut - Accelerate and stop on a dime for explosive cuts to break through defenses. Madden Ultimate team is back with more content and challenges to push your fantasy roster to Hall-of-Fame status. Not only will this season offer expanded legend content, it'll add a new progression system and game modes to Madden Ultimate team. Last season broke visual ground with the inclusion of the Frostbite Engine. 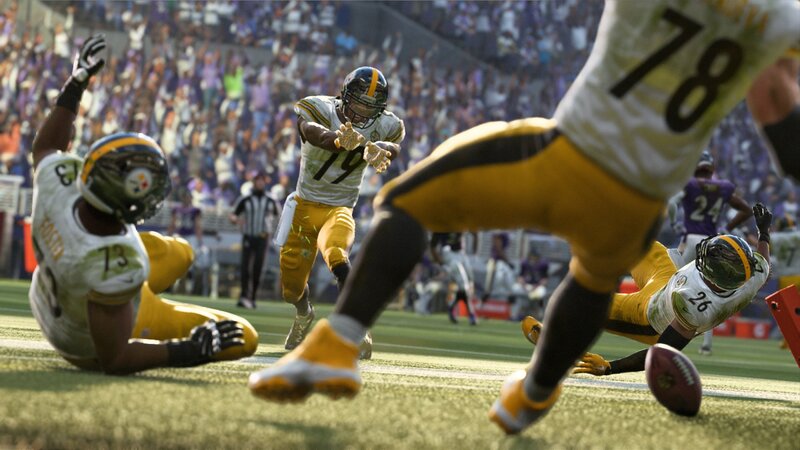 Madden NFL 19 will flex more of the Frostbite muscle, providing broadcast-quality graphics for a level of immersion for the ultimate gridiron gaming experience.